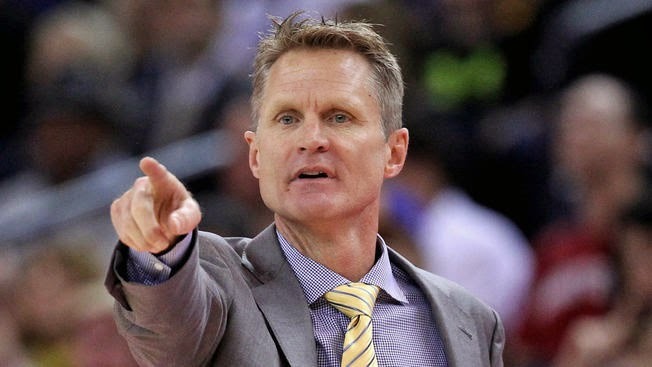 Sporadic Sentinel: Is Steve Kerr In Trouble Because the Golden State Warriors Are So Good? Is Steve Kerr In Trouble Because the Golden State Warriors Are So Good? The Golden State Warriors have set numerous regular-season awards for success. Steve Kerr has pretty much every first-year head coaching record that you can think of. Perhaps the most amazing part of Golden State’s 67-15 record is that the Warriors are the first team to win at least 50 games and then have at least a plus-15 win differential the next season. This statistic, however, is slightly misleading because the Chicago Bulls won 47 games in 1995 and then set the NBA single-season record with 72 in 1996, and the ’72 Lakers, who held the previous record by winning 69, had won 48 games in 1971. It’s still damned impressive. The Warriors head into the playoffs as the favorite, but the regular season-success may work against them because of Kerr’s inexperience coaching in crunch time of must-win games. Because he hasn’t had any. When the Warriors have lost this season, they’ve just shrugged it off and moved on to the next one. They haven’t lost three games in a row at all. They came kind of close when they lost to San Antonio and New Orleans on consecutive nights earlier this month, but Golden State had already wrapped up the top seed by then and weren’t going to show any special tricks to their likely playoff opponents. Kerr has never been head coach for a win-or-go-home game. Of course he’s been part of many as an assistant and as a player. Most notably, he hit the NBA Finals-clinching shot for the Bulls in 1997 against the Utah Jazz. But he’s never had the (artificial, media-generated) pressure of coaching a team on the road to win a playoff game or a series. Since Golden State has been so good, he’s never even come close to facing that (artificial) pressure this season. He’s had exceptional training on how to coach those games, playing for Phil Jackson and Gregg Popovich and having teammates like Michael Jordan, Tim Duncan and, uh, Craig Ehlo (but not that year). But he’s never done it himself, as the guy who is responsible for all the on-court decisions. That’s why the first-round games against New Orleans will be absolutely key to Steve Kerr’s growth as a coach. It’s one thing to coach one game against a team and move on, win or lose. It’s another to coach against the same team four or seven times in a row when the season is at stake. It’s still another to coach a close-out game against a team that will do anything to win and keep playing another day. Steve Kerr has done none of those things. This is why Warriors fans should be a tad concerned about the playoffs. 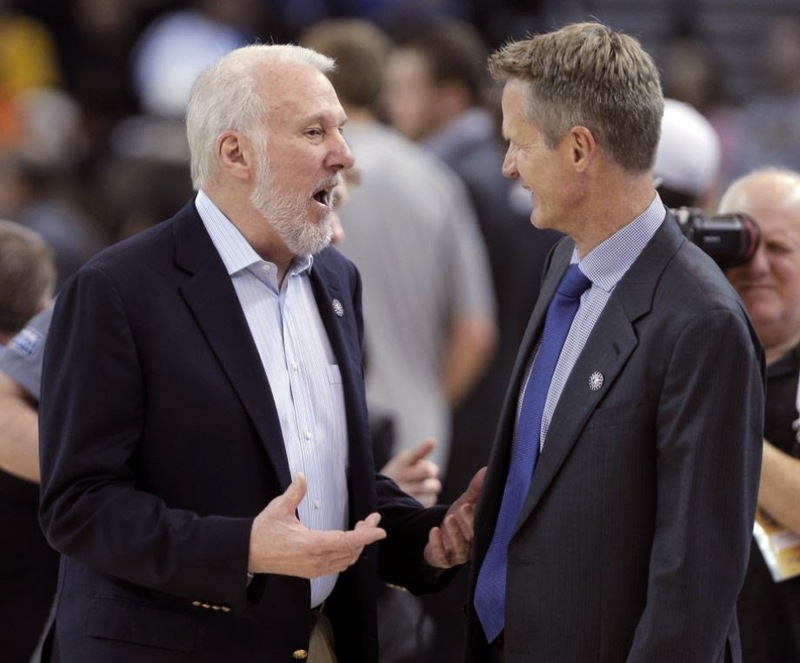 Especially when they go up against Gregg Popovich, Kerr’s former coach. The masterly Popovich will do everything he can to jangle the rookie coach’s nerves. The one guy who knows this for sure is Steve Kerr. Which is why Pops and the Spurs already have an advantage over Kerr and the Warriors. Coach Kerr knows that the regular season superlatives will mean nothing unless the Warriors win the title. In that respect, he’s already acting like a veteran coach. Now it’s time to coach like one. "Then, after we beat you...." Ah, but who's saying it?